This is the second lino block, inked up and ready to go on the press – at this stage I had still had a cut away floor area….. Here I am, pulling the second proof – this is where it can all start to go wrong……. 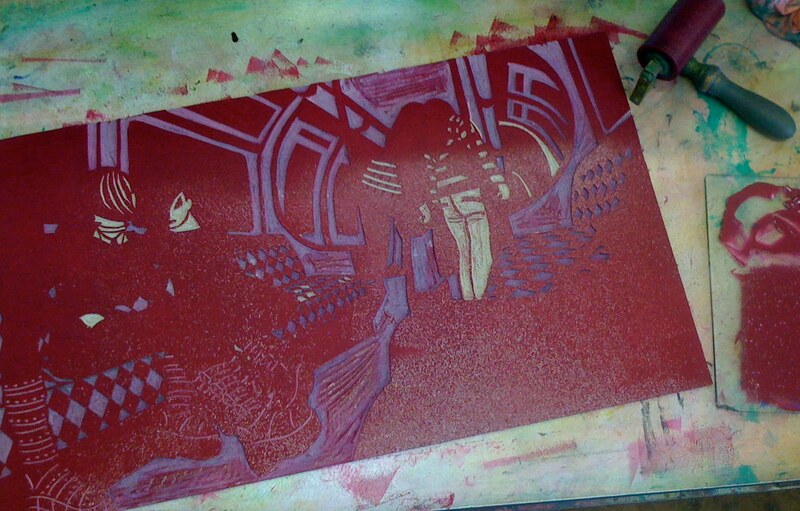 The crimson printed over the turquoise results in a good strong purple – not too bad…..